It is nearly a century since Henry Walden arrived in Trowbridge in the 1920s and began making butter, a trade he had learned from his uncle in Somerset. Henry’s father and then his brother joined him, and before long they had expanded into poultry and sausages as well as cakes, eggs and a range of dairy products. John Walden, as Henry’s eldest son, learned the business at his father’s knee and played a leading role in the expansion and development of the group over the decades that followed. 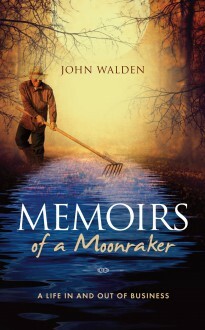 John’s business career has never prevented him from enjoying life to the full, and this warm and enthralling account of his life and times includes the details of his adventures with sailing boats, horses and motor cars old and new, as well as portraits of the many friends he has made along the way.